This week at Addicted to Stamps and More it is our Anything Goes Challenge but we have an optional twist of Get Well/Thinking of You. We are doing this as Marie one of our original DT members here and currently on the DT of Addicted to CAS is having a rough time and we wanted to cheer her up. So you can make any kind of card but we would love it if you made a card with our optional twist to put a smile on Marie's face. This card was made immediately after I saw the photo at Fusion this week combined with the sketch at CAS(E) this Sketch. They come out at about the same time and when I saw them I had a 'ping' moment and got stamping and water colouring. I was inspired by the brick wall and colours in the photo. This brick stamp has never been used before but it gave the perfect angle I wanted to fit in with the sketch. The hummingbird was water coloured (my new fine brush coming in very useful here!) and fussy cut out, popped up for dimension.This stamp is from Uniko Studios. 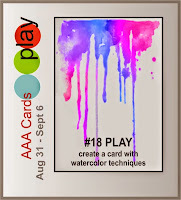 AAA cards game this week is CAS and water colouring so I am entering this challenge. And the Mixed Media Card Challenge is looking for Autumn colour and as I have brown, yellow and red I am going to enter here too. This week our sponsor is Stamp Art Designs and you have chance to win some digis from their fabulous store. The DT have come up with some great cards to inspire you. So so pretty...I love your sweet hummingbird. 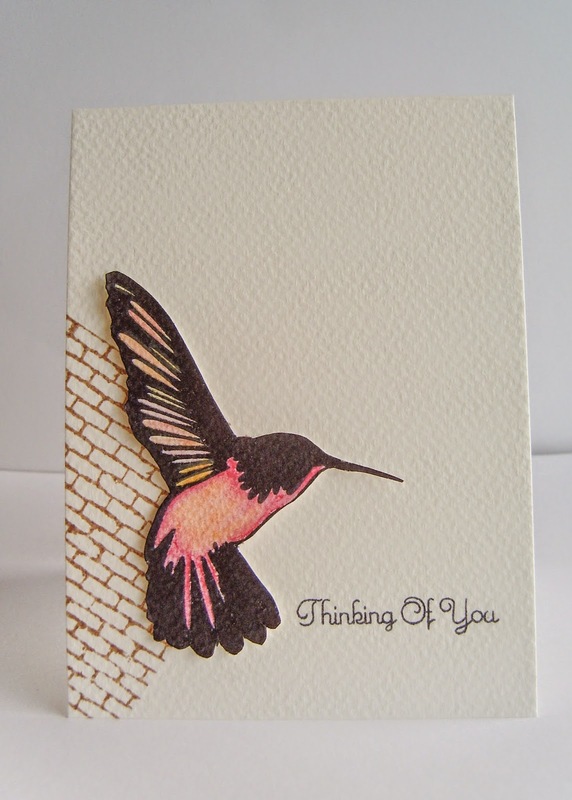 Love the contrast of the delicate water coloured hummingbird with the brick background - great CAS design! Wow Sandi, nice water coloring! the humming bird looks stunning! Don't you just love those 'ping' moments! Your card is absolutely stunning and i'm so glad you shared it at the MMCC! Oh I love how you used the hummingbird stamp...and of course my favorite the stamped background...love an all stamping card. You rocked all the challenges too...I love how you were inspired by Fusion! What beautiful soft watercoloring of your humming bird, Sandie! 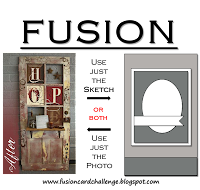 Thank you for adding your art work to our gallery at AAA Cards! Simply stunning, my friend! The bird looks like its about to fly off the card. Great job! Hi Sandie, I love your pretty hummingbird and the layout of your card. Sandie this card is stunning. Your coloring is perfect. fabulous card! thanks for playing along with us at MMCC again! Sandie I cannot thank you enough for your kind thoughts and this amazing card infact I have to say this is one of my all time favourites of yours. The water colouring is amazing and I love the brickwork. you will never know how much your kindness means to me . Your hummingbird is absolutely GORGEOUS, Sandie! I love your water coloring, and the brick wall is perfect! You did an amazing job combining all these challenges, too! I would never have thought of combining a hummingbird with a brick wall! How clever and decorative! Beautiful bird and stunning card to showcase it!! Love what you have created here - it is just really well done!! Like a work of art!! This is gorgeous Sandie and I so love the water colored bird :) u r now becoming master !! A beautiful work of art Sandie - love how you placed the brick wall "off the edge" , and the painting on the bird is fabulous. Love those beautiful colors ... so very glad you joined us at Fusion Card Challenge. Ahhh...your hummingbird is so pretty...and given the crazy snowfall here, going a long way in brightening my day! Beautiful hummingbird and I love the partial brick wall behind. What a beautiful work of art - the stamping and subtle coloring are gorgeous!